Despite concerns from wildlife groups, cougar hunting in Utah isn't likely to slow down. Utah’s Division of Wildlife Resources could allocate as many as 72 additional cougar-hunting permits this season. Hunters in Utah might soon have the option to catch more cougars. On Thursday, the Utah Wildlife Board will decide whether to authorize an additional 72 cougar-hunting permits for the upcoming season which begins in the fall. Last year, the board raised the number from 531 to 581. The move was welcomed by ranchers and hunters, but wildlife advocates assailed the increase. In the West, the cougar-hunting debate has gone on for decades. Some wildlife groups prefer that no cougars be killed. Ranchers, on the other hand, want mountain lions controlled—or hunted—while hunters usually do it for sport. Stuck in the middle: the Utah Department of Wildlife Resources and its Wildlife Board that makes the decisions. Darren DeBloois, DWR's mammals program coordinator, says he recognizes the concerns of multiple parties about cougar hunting. 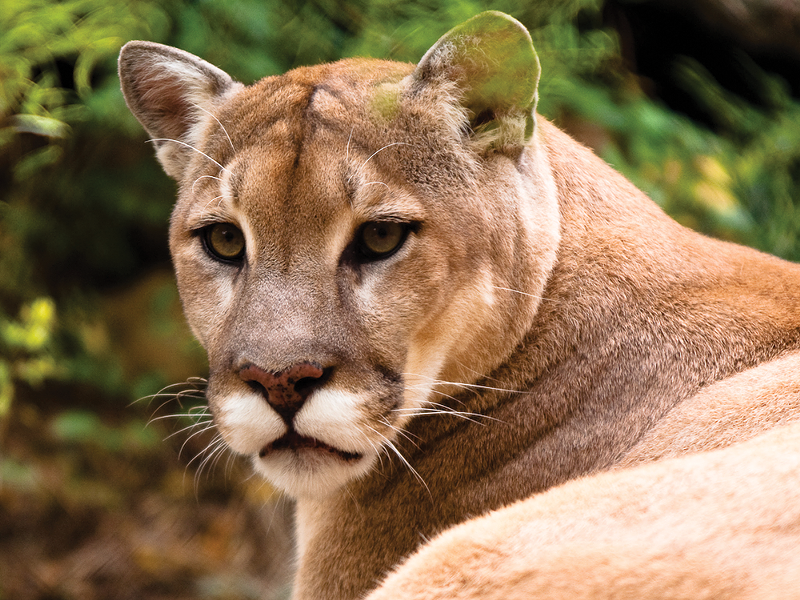 Over the last five years, the state has seen a growing cougar population. While it's hard to get an accurate estimate, he says it's likely in the 2,000 range. "People are passionate about mountain lions on all sides of the issue," DeBloois says during a phone interview. "What we did with the [management] plan is invite stakeholders from all those various viewpoints to weigh in on the final product." To determine the number of permits, the board follows a management plan that takes into account data such as mule deer population—more deer means more food for the cougars— the number of female cougars and the animals' ages. "In order to maintain or grow a population, you need to have enough breeding females," DeBloois says. "We don't want to impact the female population too much ... the other aspect is trying to maintain older age classes of animals—they tend to have more stable territories." But for some, whether DWR policy results in a stable or growing population doesn't justify hunting cougars in the first place. Kirk Robinson, executive director of the Salt Lake City-based Western Wildlife Conservancy, says he wouldn't like to see any animals killed and views the hunt as disrupting to the cougars' social and age structure. "There is no need for a cougar hunt in the first place," he says. "From my point of view, there is no scientific justification and no ethical justification for hunting cougars." Robinson adds that predation—cougars killing livestock or sheep—represents only a small percentage of why those animals might die. More common reasons include disease, respiratory problems, eating poisonous plants—and even lightning. Robinson has lived in Utah since the 1980s and kept up with the cougars' developments for nearly the past 30 years. It first was listed as a protected species in the late 1960s when officials realized too many were being killed. In the ensuing decades, the cougar has had a resurgence. But for people like Robinson, that still doesn't justify the hunt. "Cougar hunting really only has one purpose: that is for sport and trophy," Robinson says. "The sport part of it is the chase—finding and chasing—the trophy part of it is typically a skin and stories to tell your friends." There are also groups that want to see the hunts continue and even more permits issued. Utah Wool Growers Association Executive Director Sierra Nelson says she wouldn't mind an uptick in permits. Cougars have been known to attack sheep, she contends, damaging ranchers' pocketbooks. "As the urban sprawl gets larger, it cuts down on their hunting ranges," Nelson says, eyeing farm stock. "It's really important to figure out how to make this work for wildlife [and] for the domestic feed that have a good impact on our economy." Last year, wildlife officials were alerted to a number of cougar sightings in urban areas. In Salt Lake City last August, for example, one cougar was shot by police after it strayed downtown. Earlier this month, a bow hunter outside of Kamas was attacked by a cougar on a trail. He survived and suffered only minor injuries. As the cougar population increases and more deer are preyed on, Nelson says, "they have to find food sources, so pretty soon, it's going to be Fluffy on your front porch." While cougars like food sources such as mule deer, sheep aren't its main source of food. So when a cougar starts killing sheep or other livestock, wildlife officials try to locate and euthanize it. Organizations such as the national Humane Society, the organization's Utah office and the Wild Utah Project have long condemned cougar hunting. Karl Hirst, a member on the Utah Wildlife Board, told The Salt Lake Tribune last year that the cougar-permit policy is "the most difficult decision we make every year." While he doesn't agree with hunting cougars for sport, Robinson doesn't plan to give up the fight anytime soon. "There is no argument of any kind ... that we're justified in killing cougars in the first place," Robinson contends. "That's what has me most concerned—the idea that it's just OK to do it for sport and trophy. ... I think that's morally repugnant and downright abhorrent." No more than 40 percent of the hunted cougars can be females, according to the management plan, and at least 15 percent of all the cougars must be at least 5 years old. Unlike other game that might have horns to pinpoint gender from afar, cougar hunters must look for other characteristics. If it's a male, a black spot can be found below its tail and behind the hind legs. Males also tend to have larger heads. DeBloois' research from last season found that only 456 cougars were killed despite the DWR plan allowing for 581. That number might be higher come next year, but that doesn't change the goal of the management plan. "The objective of the plan is to maintain a healthy population," DeBloois says. "It's not to get rid of lions in Utah but we do need to respond to things like public safety concerns and [the concerns of] people that are producers—people trying to raise livestock."